I gave up on prayer when I was a child. I’d learned to pray in church, prayed bedtime prayers with my mother, and tried to make prayer a part of my life. When my grandmother became sick with cancer and moved in with us, I prayed even harder. I prayed fervently, constantly, daily for God to heal her. Yet, she only grew weaker and weaker until the cancer took her. When God didn’t answer those prayers, I gave up. I wanted a more effective prayer life, but my experience led me to conclude prayer must not really work and maybe God wasn’t even real. How many times have you been disappointed with prayer? Given up because it wasn’t working and producing the results you wanted? Decided prayer wasn’t effective because you weren’t getting a response from God? Wondered if God was anything more than a vague, distant being since you couldn’t feel him more tangibly in your life? 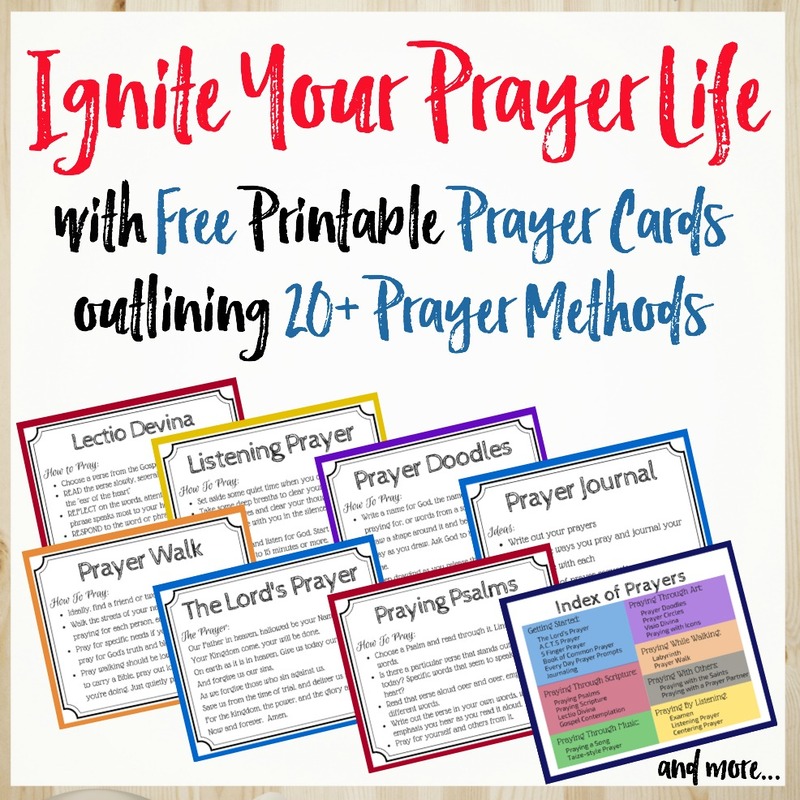 Do you desire a more effective prayer experience? I’ve been there. More times than I’d like to admit. It’s why I often question why I’ve been called to write about prayer, but it’s also why I’m so passionate about helping others discover the power of prayer. I’ve been disappointed and discouraged by prayer. I’ve nearly given up on God because of my experience with prayer. Yet, I’ve also had my life changed by prayer and discovered a real, personal, life-changing God through prayer. Prayer is where faith takes root and transformation begins. Prayer is the THE essential element, but it’s also an area where most of us struggle greatly. When I was praying for my grandmother (and many other times since), I was focused on what God could give me. “Heal my grandmother.” “Remove the cancer.” “Fix this problem.” “Help me through this struggle.” “Give me a clear answer.” “Bring healing.” Much like making out a list for Santa, I was focused on bringing my list of wants to God. In fact, many times my list was so long that all I did in my prayers was ask for things. I’m not sure I even knew what else to do in prayer other than ask for things. So, when the list didn’t get checked off, when I didn’t see the results I was expecting, I concluded God must not really answer prayers (or at least he wasn’t answering mine). Later in life, as I began to explore prayer again, I made a subtle shift in my prayers. A small, one-word change that I didn’t realize would be so powerful. I was at a point in my life where I didn’t even know what to pray for anymore. I’d reached a point where not only did I not have the answers, I didn’t even have the questions. I just needed God (hoped for God) to do something new in my life. I was at my end and I needed him to step in and make a change. My prayers changed from “give me” to “make me.” “Make me over God. Mold me and use me for your purposes.” Unknowingly, that one-word change was the essential shift I needed in my prayers. That one word shifted my prayers from a wish list to an opening of a relationship with God. I was no longer handing God a list of requests, but instead spending time in his presence sharing my heart. I was handing control over to him to determine the solutions and to work deeply in my heart. This one word shifted me from futile attempts at prayer to more effective prayer. It’s not that God doesn’t want to hear your list of prayer requests. In fact, he greatly desires for you to share your concerns, your decisions, and your desires with him. He also wants you to pray for others and partner with him in prayer. However, more than answering a list of requests, he first wants to establish a relationship with you. He wants to work through your heart and bring your life into alignment with his will. He wants you to love him for who he is, not what he does for you. He wants to you to hand the reins of control over to him and rely on his power in your life. How are your prayers? Are you frustrated with the lack of effectiveness? Are you losing hope in the power of prayer? Listen to your prayers. Do you hear more “give me” than “make me”? Try this one-word shift today. Begin praying “make me” and let that sink into your heart. “Father, make me over into who you want me to be.” Pray this until you feel the shift in your heart and experience the door opening to a more personal relationship with God. How will he “make you”?